EngineCR is a internal combustion engine compression ratio calculator. Automotive machine shops and engine builders can benefit from the use of EngineCR. EngineCR accurately calculates the static compression ratio of an engine. Calculations are based on the engine's bore, stroke, cylinder head chamber volume, piston design, deck clearance, and head gasket properties. 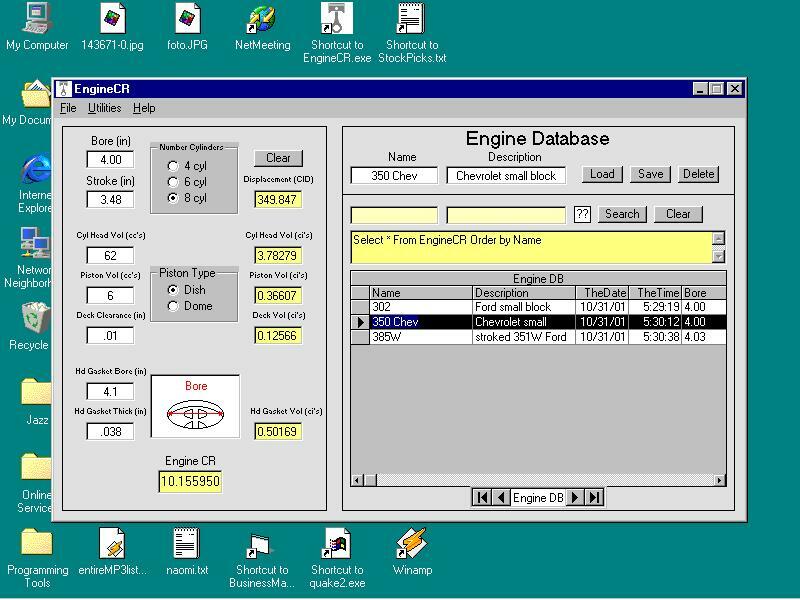 Customers' engine information and specifications can be saved in EngineCR's engine database.